Refer a friend and earn 25% off your next class. 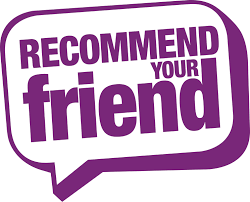 Referral scheme open to new and returning customers. “Friend” must be a new customer. Refer as many people as you like, the scheme is unlimited. 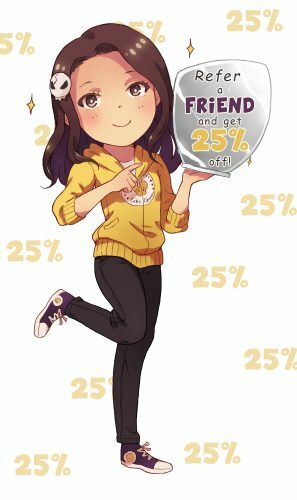 25% voucher will be generated when the “Friend” pays and attends their first class. £5 off coupon is limited to one use, per user. Enter “ImAFriend” at checkout. Please add a note with your referers name on the order. Or drop me an email. Reward stamps are not available on discounted classes.